If you’re thinking about quitting your 9 to 5 job will be a good idea, best wait and you can start your first business on your free time. 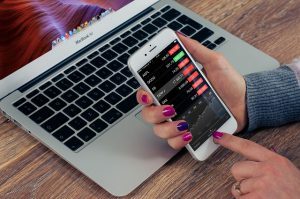 Thinking about quitting your regular job right now to start a business based on what you read on the internet about how many people are making lots of money with their online business can be risky. One way to make it work for you the right way so you can quit your regular job, it’s to do it when your own business is doing good and you’re already making money from it. Will your first business be 100 % success? Many people will try to sell you the idea that you will be making lots of money with a brand new business in a short period of time, I like to be more practical and I can tell you, in order to start making money with a brand new business will depend on different factors, two of them are that you will need to learn how to do it and you will need to work hard to make it happen. How can you start a business with more chances of success? Today, we are so lucky to find any kind of education we need to learn to start doing anything, you name it and you can find the right information to learn anything you want or need to. 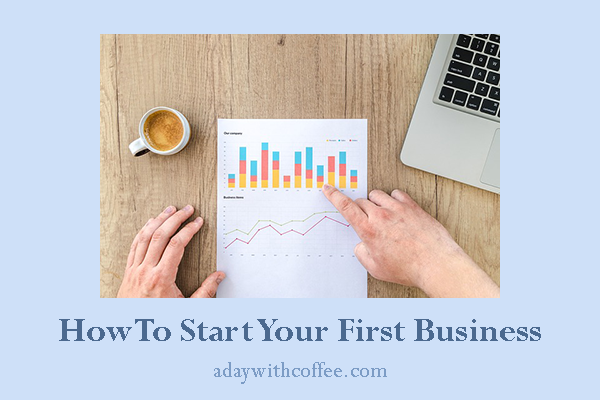 To start a business you will need to learn the basic of business, if you’re already know about it, you have more chances to successes on it, but if you’re a beginner the good news is the more important thing is that you want to do it, and that is a big start. The best advice I can give you to start a business is to keep your regular job and find some free time to start your own business. 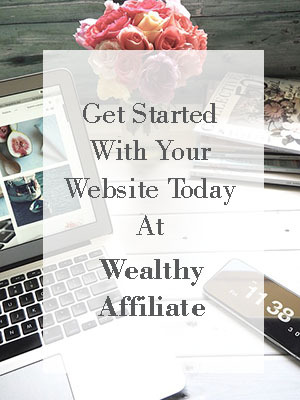 More than ever, we all have the opportunity to start an online business with more chances of success in a short period of time, if you learn the A, B and C of online business, you will be working from home on your website on your free time. Many people will not start a business because they think too much about “what if I fail?”, “what if I don’t make any money”. You can keep your start up as the best secret you have in your life, if you don’t want people around you asking all the time how are you doing on your business? and how much money have you made so far?, just keep it a secret. One day you might surprise them all! If you fail on your first try, it won’t be a fail, you’ll earn lots of knowledge, when you start your second business you will start it with a different mindset and it’ll have more probabilities to be a successful business. Every hour you spend working on your first business will worth every minute of it, you will learn a lot of every aspect of making business. The more you read, the more you’ll learn. Read about money making business online, you’ll find some people who started on their free time their business with little money and today they are making real good money from their online business. Some of them have online courses to share with you how they did it. Find the course that will fit your own ideas better, and find the mentor who has some business ideas the same as you do, by doing this things it will be easier for you. Off line vs. online business. While you start an offline business you might need to put some money on the table just to start it, if you have the knowledge of making business you will have more chances to start a good business with your first business, but if you lack knowledge about running a business, you might end spending lots of cash on a business that could not do good and by the end of the first year you might realize that was not a good business idea. If you want to start an online business, there’s more probabilities to start a business that no matter if you do good or not you won’t put lots of money on it, by the end of the first year, you will know how much money you have made so far, and you can take the decision to keep at it, improve it or start a new online business. 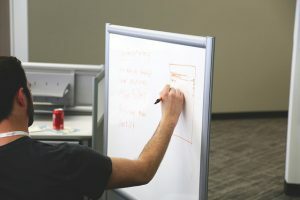 Let’s talk about some ideas where you can start making “extra money” on your free time. Buy and sell things online. Many good online business had started on this niche, the best way to start it is to base this business on your hobbies, you already know lots about it, you love to talk about your hobby, this will be your niche. You will need to start working on finding stuff that you can buy online and sell it later online. What you need to work on this kind of business to have success and make some good money from it, is to get great photos of your product, and learn to write good description of your products (copywriting). While you work on the copywriting on every product you work on, the important thing here it’s to find the right value of it for the people who are looking for it, nobody wants to buy “just more stuff” to bring home. Write about the qualities of that product and why people will love to have it at home. I guess if you have been working for a few years now and you might know something about your trade. Many people are looking to learn about something right now, by starting your online business coaching about what you know might surprise you. More and more there’s you tubers teaching people to cook, you know how to cook, just find the right niche for you. Students and young people are learning from old-timers how to cook, yes there’s a granny in Spain who lives far from her grandchildren who asked her how to cook and she started to tell them on the phone some recipes, as her grandkids didn’t get it on the phone, this granny said, “ok, I’ll make a video and you can watch it on YouTube, today this granny is an influencer because her grandchildren showed their friends her grandma cooking videos on YouTube and she is now teaching the basic Spanish cooking to young generation, a win win! More and more I’m amazed on how good these you tubers do with their videos, many people want to learn to knit or crochet or sew, it doesn’t matter you think this a women activity, you know how to knit you will be doing great here. If you visit Carlos & Arne YouTube channel you can see, anyone who can make something will do great. The important thing here is that you’re good on what you know how to do, people will find you and people will buy from you. Or anything you can fix at home, everyone might be looking for a way to fix something by themselves right now. You’re good fixing something, share your knowledge with the people who has a problem at home. 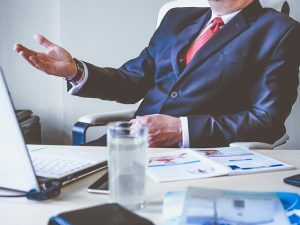 Have you thought of giving consulting to some companies, you might have been working on a company on the administration area, you might know a lot about it already, some companies are looking for someone on your expertise area and will be willing to hire you to give them some advice on different topics. Your knowledge will help people and business to do better! Today, more and more people are interested on learning different languages and people are moving from one place to another, these people come with a mother tongue and they learn a second or a third language. Are you one of them, you can speak more than one language. You can start your online business based on one of the languages you already speak. Some companies are looking for your services as translator, or as a new language teacher. You can start also your online business based on your mother tongue, this is a niche where some people are making good money, you can take a look on YouTube to check on some accounts, this kind of business can be set up with a YouTube channel but also to write your own e-books so your students can follow your directions and some people already have their own language online schools. Are you an expert to solve any kind of problem? If you’re good at solving any kind of problem you might have found a good business idea here. More and more business people value their time and they look for people to help them to deal with any kind of problem. There’s a huge boom on people finding online jobs from home as virtual assistance or community manager. If you’d had been working online you might be ready to go for it, if you’re not but you want to start working from home helping to solve problems you might find the right online course to start working on this niche from home and making a good income in your free time. As you learn this new trade you will be good at it, your first boss will recommend you to other business people and you will be booked full time soon. Do you remember a school subject where you were really good at it, or are you a retired teacher? The good news is some students who are struggling with a subject at school might be looking for you right now. This kind of job used to happened when a parent worried about their children were not doing good a school, they used to look for a teacher who was willing to go to their home to teach the kids in problem subjects. Well, today the internet has a big open door for you, you can learn how to write an e-course about some topic or a lesson and place it on the platform where you can sell it. You’re good in a subject, your students will let you know about more topics where there are problems and they need more help. The good point about this kind of online business is you will be working just one time on a class and you can sell it many times, the more students who get interested on your class the more money you will get from it. Sharing your class on one of this platform has a good point, you just need to focus on creating content and you don’t need to worry about SEO, and if Google can find you, or any technical problem. You want more students know about you as a teacher, start a blog and share what you do, then more students will know about you! Do you feel like after reading this article you’re ready to start your online business on your free time but you don’t know where to start? Starting an online business is never easy. I’ve gone through 2 failed websites before I was finally steady with my current website. It took a lot of time and money to finally be where I am at right now. After a year of not having any kind of success, I almost gave up. Took a ton of researching and coaching. And now my blog is finally a business. Starting my own business seems so daunting, something that I never really felt I would want to do. But at this point in my life, it is something that I need to do. So I am glad I found your informative post! You have given me a lot of choices, and alternative choices that I can use! I have been brainstorming and my mind has just came up blank. I love some of your ideas, and I really think I am going to start investigating them to see which ones will benefit me the most. I see your number 1 recommendation is Wealthy Affiliate. How long have you been a member with them, and do you find this to be beneficial in helping you achieve success in starting your own business? Great post! I appreciate you being open and honest upfront about waiting to quit your 9 to 5 job. It’s so important to wait until you see a consistent amount of money coming in from your new business. Your tips are very helpful. I agree with the education and reading tips. I know that’s the most important thing for me. Without education and books to help me learn new things to better my business, I wouldn’t be very successful. As someone who is currently working on building an online business, I still found these tips to be quite helpful! 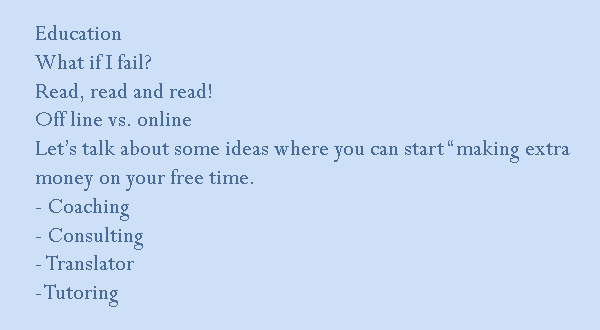 I definitely agree that starting a business online about something you like is better because it is easier to write about something when you are passionate about it. I can also see how starting a business revolving around tutoring can be helpful mainly because most students are on the internet these days which is very convenient for learning basically anything! I think WA is a great platform for learning how to start a business online as it gives step by step instructions which are easy to follow and implement!